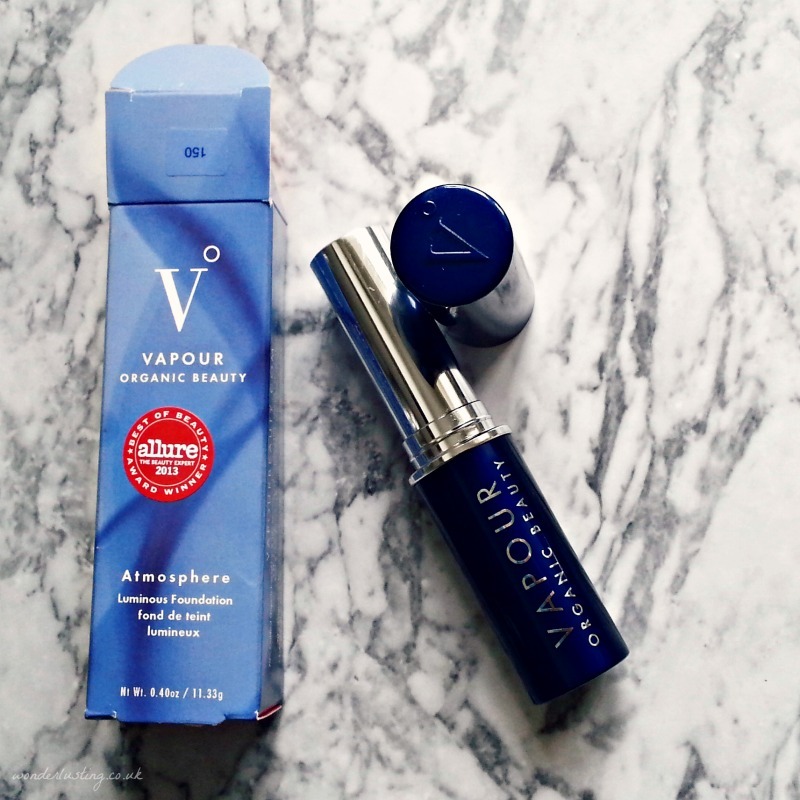 I’ve mentioned Vapour Organic Beauty several times before (for an overview of the brand read here). It’s an American ecoluxe makeup range made sustainably with high quality ingredients. The founders have serious makeup chops having been involved in the creation of Kevyn Aucoin Beauty and consulted for other big names in the beauty industry so we’re talking style and substance here. All Vapour products are made with at least 70% organic ingredients and the rest is high-quality mineral pigments and oils. They do not use plant pigments as they are water based, which requires preservatives. The entire line is made without irradiation, nano particles, parabens, petrochemicals, synthetic additives or fillers. I’ve got dry, sensitive and love a glowing, natural finish so I say: “yes please”. The Atmosphere Luminous foundation is a stick formula, available in 12 shades. I love that Vapour offers an inclusive range to suit the spectrum of skin tones, which is not a given with many organic beauty brands. It’s great for brown green beauties to have options too. My closest match is 150. All Vapour makeup is designed to be used with the fingers, which appeals to me. I like easy to apply, no rocket science required makeup. Vapour advises to swipe the stick in a circular motion on your hand before applying to the face. 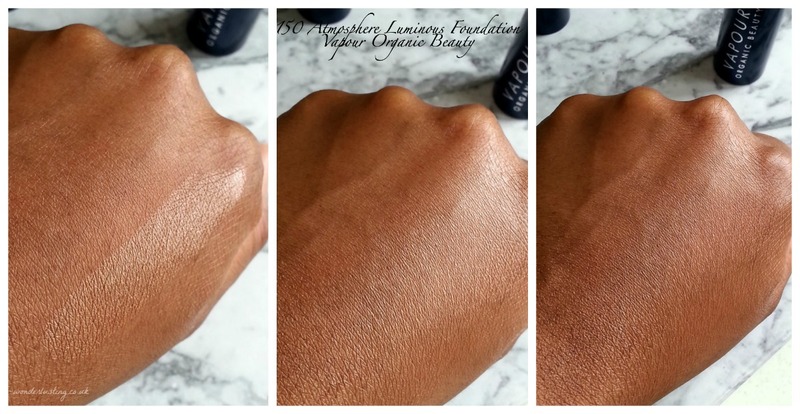 Don’t skip this step as it definitely made a difference to how the colour looked on the skin. I’m not used to stick foundations and there was a learning curve the first few times to figure out how much to apply. I overapplied at first which resulted in a face that could reflect satellite beams. The texture is sublime. Seriously if my skin could “aaaaah” it would have. It’s like a cream foundation but light and airy at the same time. A look at the ingredients list full of oils and emollients explains why it feels so nourishing on the skin too. The swatches below are heavier than I would wear on my face but they give you an idea of how the foundation looks on the skin. 150 is described as for dark with red undertones. 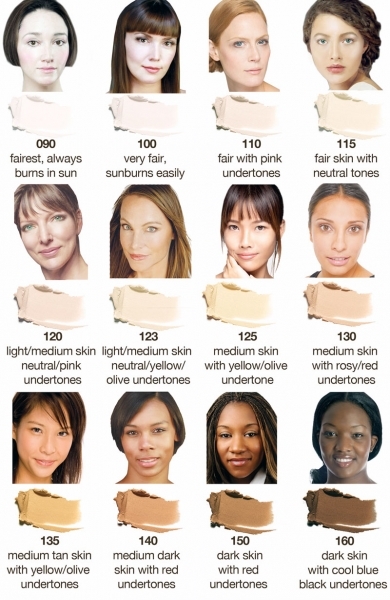 I have yellow/golden undertones which I often struggle to match as foundations tend to pull too red for me. In this case, 150 pulled too golden – a first! When first applied, I felt like I need to be wearing sunglasses from the glow! After about 15 minutes the colour seemed to have melted in to the skin and was radiant without the bling. The coverage is light like a tinted moisturiser and evens out the skin with a lovely glow-y finish. However because I naturally have golden undertones it looks more like a highlighter on my skin. You would need to use a concealer for any blemishes you wanted covered. Vapour Luminous foundation is luminous by name and luminous by nature. I like my skin to glow but unfortunately for me this colour was too much of a good thing. I have been using it as a subtle highlighter or for evening makeup. I have heard that Vapour are working on some new foundation colours and my fingers and toes are crossed for a slightly less golden colour because I love the formula. Choosing a foundation online can be tricky so I like this online shade consultation that Vapour do. You send them a picture of yourself and answer a few questions to be matched. Vapour is available online in the UK from various e-tailers but the only UK stockist that has the full range of foundation colours is Content Beauty in London. Have you tried anything from Vapour?